A New Dawn for South Africa’s international strategy – Political Risk | Pozières Consulting Inc. Given the forthcoming national and provincial elections, this year will inevitably be dominated by domestic politics. But 2019 should be a year in which South Africa capitalises on new international opportunities and carefully repositions itself as a credible and legitimate voice in global affairs. Earlier this month, South Africa rejoined the United Nations Security Council for a two-year term as one of the ten non-permanent members. This alone will put South Africa’s foreign policy under greater scrutiny – internationally, if not at home. 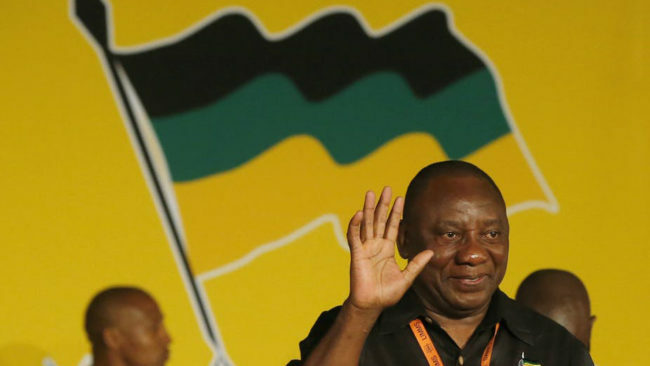 President Cyril Ramaphosa and International Relations Minister Lindiwe Sisulu’s public postures in the final months of 2018 provided insight into how the sixth democratic government will position itself globally after the Autumn election. They have set out to recapture South Africa’s moral authority and to re-acquire strategic global influence. The recent reversal at the United Nations General Assembly, from abstaining to voting to condemn the human rights abuses in Myanmar signals a decided reorientation in South Africa’s foreign policy. Ramaphosa’s promise of a New Dawn transcends the preceding era and introduces a dynamic approach to policy. His active engagements at multilateral organisations and with international partners present a renewed pursuit to advance South Africa’s interests through international means and ways. The President’s charm offensive to garner foreign investment is clearly aimed at bolstering the domestic economic project, tactically advancing his electoral drive. As the principal guest of a one-day ‘Peace Summit’ convened by UN secretary-general Antonio Guterres on the eve of the annual general assembly last September, Ramaphosa evoked the overlap between Mandela’s values and that of the United Nations – a clear attempt to re-position South Africa has a responsible global citizen committed to the international rule of law, after the eccentricities of the Zuma era. In doing so Ramaphosa leveraged Mandela’s gravitas as an international statesman, advocating for a “more representative, equal and fair United Nations”. His call that “we must resist any and all efforts to undermine the multilateral approach” is a calculated, internationalist response to a global order that is threatened by the United States’ change of strategy, towards unilateralism. Ramaphosa’s endorsement of principled multilateral reform claims an authoritative, independent vantage. It is from this vantage that South Africa has the most to gain. Unlike his predecessor Jacob Zuma’s pursuit of national and continental interests, pursued through narrow anti-Western tactics, Ramaphosa can truly advance the national interest as well as representative global governance by presenting a sovereign embodiment of international norms and values. Increased discord among the Security Council’s veto-bearing powers has opened significant influence for non-permanent members. South Africa rejoins the Security Council at a precarious and opportune time. It must enact a judicious and coherent programme. Its seat at the table lends it the opportunity to help steer ongoing matters that have too long simply been managed. The situation in Yemen and South Sudan, for example, requires decisive leadership. The volte face on the Myanmar vote is an encouraging sign that signals active responsibility. Minister Sisulu has announced that votes will hence be cast individually and upon direction from the Executive. This circumvents an often recalcitrant diplomatic establishment and advances an active foreign policy that serves the national interest. Sisulu made it clear: “We want to usher in a new era where South Africa can lift itself out of poverty and inequality and regain its stature in the world…We want South Africa to be once again a moral compass and a voice of reason in a world increasingly overcome with selfish, narrow interests”. To do so she will have to streamline her bloated department, DIRCO, improve institutional capacity and offer clearly defined policy objectives. A Review Panel, including experienced old hands such as Aziz Pahad and Ayanda Ntsaluba, has been established, which bodes well for a significant turn-around strategy. One big strategic question that will need to be answered by the Ramaphosa administration is how it will seek to benefit from BRICS. South Africa’s influence and role within the informal grouping may appear to be waning. Yet, BRICS is a potentially potent tool which has been misperceived and under-utilised. Instead of an anti-Western mechanism, BRICS is a cogent, cooperative regime engendering representative global governance. It is reformist, not revolutionary. As a member of this exclusive group, South Africa holds leverage to shape its perception and command. Responding to global instability, BRICS is building beyond its rhetorical form. Dubbed BRICS Plus, this novel concept heralds a distinct, expanded platform to embody and sustain what has become a precarious multilateral order. BRICS Plus remains poorly defined. South Africa, which initiated the BRICS Outreach Mechanism, a precursor to BRICS Plus, has the opportunity to inject it with its Constitutional values and its diverse and reconciliatory ethos. BRICS Plus provides an indirect means to charge regional, continental and Southern relations from a position of power, securing influence from the South and recognition from the North. South Africa’s seat at the Security Council and its membership to BRICS must be used to counter Zuma’s Manichean foreign policy and the false narrative obliging a choice between sides in a new Cold War. By taking an independent, normative stance South Africa could assume greater regional and global power, accelerating the tide towards an imminent multi-polar world order. South Africa should aim to be one of the many ‘poles’ in this complex, fractured global disorder – on the one hand seeking to defend multilateralism where it can be defended on a principled or reformed basis (such as in the UN SC), while on the other hand finding new opportunities to exert influence (such as through BRICS Plus or as an independent player). In 2019, this strategic approach should be developed and then clearly articulated and executed. This sovereign strategy will not only promote South Africa’s international interests it will also serve the campaign to reclaim the captured state – joining the dots between domestic and international policy. Klaus Kotzé recently completed his PhD at the Centre for Rhetoric Studies at the University of Cape Town on the subject of BRICS and its strategies of persuasion. His interests include emerging global power relations; national and international strategy; new forms of multilateralism.